View of an Independence, Kansas marching band. 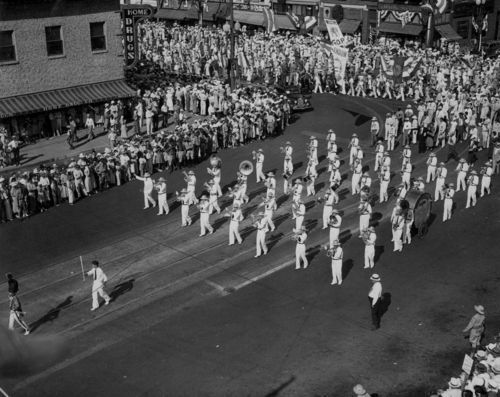 The band was performing in Kansas Governor Alfred M. Landon's Notification Day Parade in celebration of the notification of his nomination to run as the Republican party's candidate in the 1936 presidential election. Landon was defeated in November by a landslide vote for incumbent Franklin D. Roosevelt.